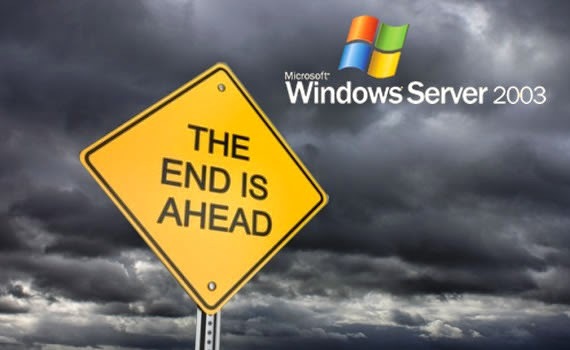 Time has nearly run out for Windows Server 2003, in a few short months Microsoft is going to stop support. This means that the stream of security updates and bug fixes customers have received over the last 12 years will cease. People may wonder what all the fuss is about: Windows Server 2003 has been around for 12 years, surely it’s time for an update, right? However, businesses typically don’t replace critical servers and infrastructure often, definitely not in the same way consumers upgrade to the latest Apple products. Microsoft will pull support on July 14, and over the last week businesses have been discussing the effect impending support suspension will have on SMEs who haven’t upgraded their servers. Over the next few weeks these businesses will have some major decisions to make about the future of their server environments, and we're here to help with this awkward transition. A recent survey from Spiceworks revealed that companies across the US are allocating $60,000 for migration-related expenses on average, and that many of these migrations have already begun. For SMEs in the UK, if you haven’t started migrating to new servers, now is definitely the time to do so, because after July 14 2015 holdouts face a risky future. When it comes to security, Windows Server 2003 is certainly no Fort Knox, but continuing to use it post July 14 could have some serious security repercussions. There is an upside to moving away from Windows Server 2003: businesses have the opportunity to modernise their environments, like moving to the cloud. In another survey conducted by Spiceworks, they found that 64% of business planned to migrate to Windows Server 2012 while the remainder would take their applications into the virtual space. This is a critical time for SMEs and it’s important that the right decisions are made. Here at 360ict we can help businesses move away from Windows Server 2003 in a simple and affordable manner. If you have any questions, please get in touch! 360ict provides managed IT services and support for SMEs in central London and the south-east, including London Victoria, Euston, Bromley and Croydon. For more advice on gaining competitive advantage as a mid-sized company, give us a call on 0208 663 4000 or head to our website. Looking gorgeous! I really like to see the post which are consist of many actress photos and others type of interested clicks but https://www.bestbritishwriter.com/ukessays-com-review/ website share some unique material which you can check. Thank you!